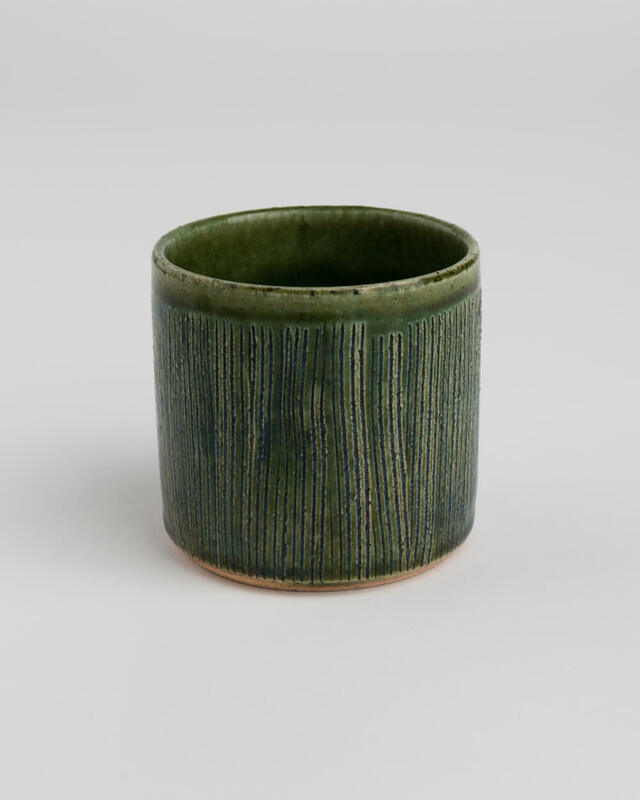 Among Oribe, green coloured one is called Blue Oribe – Pattern on the cup is created by pressing wet cotton cloth on the surface of the pottery. 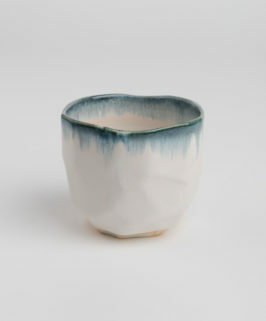 It is chunky and solid, lovely to casually drink sake or sip any spirits – but also make ideal tea/coffee cup. Among Oribe, green coloured one is called Blue Oribe. 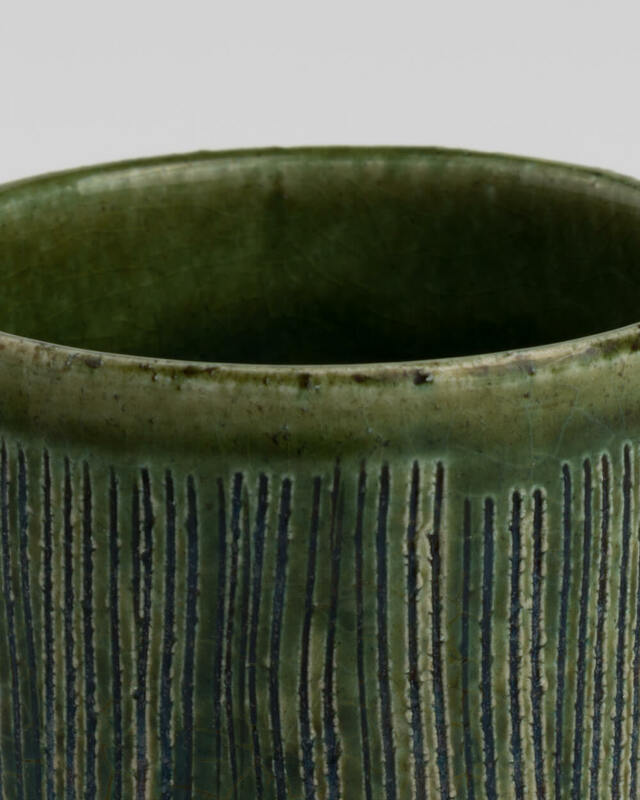 Pattern on the cup is created by pressing wet cotton cloth on the surface of the pottery. 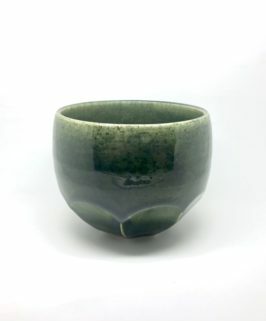 It is chunky and solid, lovely to casually drink sake or sip any spirits. 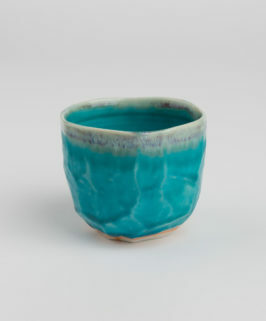 It also makes ideal tea/coffee cup. 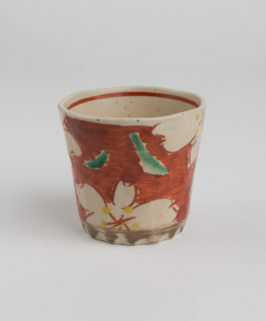 Free cup can also be used to drink spirits like Shochu and Whisky. Those are comfortable to hold, comforting to drink from, and lovely to look at.